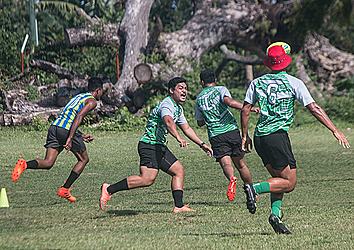 The Nofoalii Touch Rugby Club hosted its third touch rugby tournament at the Nuuausala fields on Monday. Six teams competed in the open men’s division. They are Marist Saints, Blade Runners, Stay Aloof, Nofoalii Swifters, Nofoalii Steppers and Team Ato. President of the Nofoalii Touch Rugby Club, Ailolo Simi Fau Tanielu said the tournament started in 2016. “At first it was so everyone can have fun after White Sunday but along the way we noticed the talent showcased by some of our youths and so the whole purpose and focus now is for the youth’s development in terms of enhancing their skills and experience,” Ailolo said. 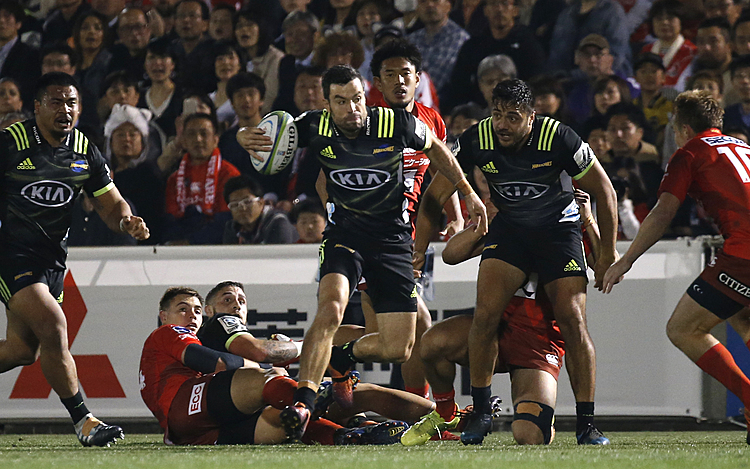 “One of the highlights is that through our competition it enabled 10 local referees to be awarded their Badge Level One, where one of our local Nofoalii Club members, Taoete Tanuvasa Scanlan was one of them,” said Ailolo. President of the Samoa Touch Rugby Incorporated, Mailata Michael Wulf said the Nofoalii tournament serves as a preparatory competition for players towards the Touch World Cup. “And also two of the Nofoalii Swifters’ players are in our national training squad,” he added. Ailolo acknowledged sponsors of the tournament: Samoa Commercial Bank – Lemalu Ray Ah Liki, Parts Right Company Ltd – Vou Mark Tapusoa, Central Bank of Samoa, Samoa International Finance Authority (S.I.F.A.) – Invest Samoa, Pacific Freight Ltd – Misa Unasa Henry, Federal Pacific Finance, Tanuvasa Isitolo Lemisio Family, H.J. Keil Company Ltd- Letoa Wenzell Keil, Italiano Pizza – Lina Sala Petelo, Taula Beverages Ltd, Tomasi Ili Peni, Member of Parliament - Ili Setefano Taateo from Aana 1 district, Mathew Mauala, Farmer Joe Supermarket Vaitele, families and friends.